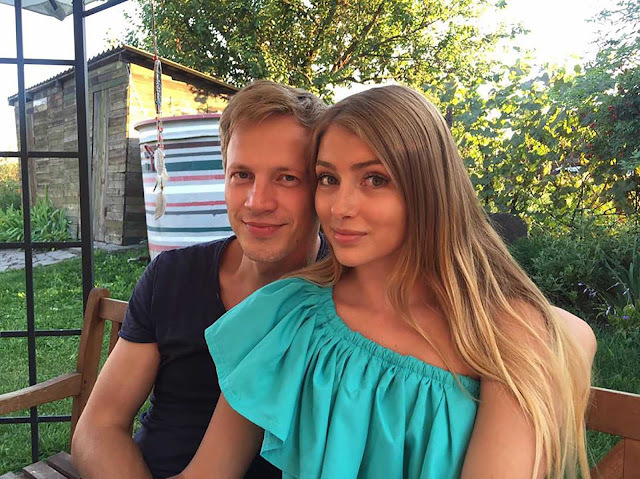 Mumbai, 15 March 2017: Popular Ukrainian television actors Valentin Tomusyak and Catherine Tyszkiewicz, better known as Igor and Irina from ‘Snowdrop’ that airs every Monday to Saturday at 9 PM on Zindagi, have set a benchmark with their brilliant performances. The actors of this first ever Ukrainian drama series on Indian television have already won the hearts of the Indian audiences. The love triangle between Nadya, Irina and Igor will keep you hooked to your TV screens. Though Valentin and Catherine’s character don’t share a good rapport on-screen as they are seen as contrasting personalities in the show, the actors are madly in love with each other and married to each other in real life. The actors met during the shooting of Snowdrop and were drawn towards each other instantly. Valentin and Catherine initially tried to hide their relationship but their budding love could not be hidden from rest of the cast and crew. The couple complement each other beautifully and are a great support system for each other. The show revolves around Nadya, an innocent, good hearted and hard working girl, who gets wrongly framed for an accident. Irina, her beautiful, spoilt and manipulative step-sister and the man that both of them are in love with is Igor. He is the heir to a cosmetics empire. A tragic accident kills Igor’s beloved sister. Igor, who loved Nadya loses all his trust in her after the ill-fated incident. Irina, takes advantage of the situation and convinces Igor to marry her. Catch the first Ukrainian Drama – ‘Snowdrop’ in Hindi, every Monday to Saturday at 9 PM only on Zindagi! !